As soon as 2043, if not before, the U.S. Census Bureau predicts that the United States will become a "diverse-majority" country – meaning that more than 50 percent of Americans will identify as non-white. Projections suggest that the nation's schools are already crossing that threshold. In 2013, the population of incoming kindergarteners in the U.S. consisted of roughly 50 percent non-white students. What do these changing demographics mean for schools? Joanna Williams, an associate professor in the University of Virginia's Curry School of Education, said the changes are significant. An expert on race and ethnicity as social contexts for youth development, Williams is also an affiliate of Youth-Nex, the UVA Center to Promote Effective Youth Development, and of the new Center for Race and Public Education in the South. In 2014 she was one of five scholars in the country to receive a William T. Grant Foundation Award, which sponsors a five-year study of the benefits and challenges of ethnic diversity in middle schools, and she recently delivered the inaugural lecture of a new series on child development in a diverse-majority society. She recorded the lecture in the Rotunda in front of an audience that included local high school students and staff, UVA faculty members and a diverse group of undergraduates, including visitors from North Carolina Central University and students enrolled in the Curry Summer Undergraduate Research Program. The videotaped lecture was subsequently distributed to members of the Society for Research on Child Development, sponsors of the new lecture series. "As educators, it's our responsibility to think carefully and critically about how to best support an increasingly diverse population of children, and to think about diversity as a context for development," Williams said. "Schools are one of the few places where children regularly spend time with peers from different backgrounds. It's important to think about how to capitalize on that as a developmental opportunity for all children." In the face of these rapidly changing demographics, Williams reviewed the research on the benefits of racial and ethnic diversity in schools, what gets in the way of realizing those benefits – and what we can all do to move forward. Why Does School Diversity Matter? When talking about the benefits of school racial and ethnic diversity, Williams said it's a question of "how," not "if." But first, what makes a school racially or ethnically diverse? The answer, she said, is complicated – and dependent on many school-specific variables, like geographic location. While some studies have suggested about 15 percent as the "critical mass" needed for a given racial or ethnic group to avoid isolation, Williams said the benefits of diversity are most likely to arise when no single group constitutes a majority. Those benefits reach across a range of areas, including academic achievement: Students who attend diverse schools – in which two or more racial or ethnic groups are represented in relatively even proportions – have higher average test scores and are more likely to attend college. Diverse schools and classrooms can also create more equitable access to educational resources, leading to reduced racial disparities in academic achievement and a lower likelihood of dropping out of high school. Attending a diverse, integrated school is also associated with reduced racial bias and stereotypes, enhanced leadership skills and better mental health – across all races and ethnicities. "There is well-documented evidence of the benefits of racial and ethnic school diversity for all youth," Williams said. Plus, the influence of racial and ethnic diversity in schools has been shown to extend far beyond the classroom. Lasting impacts include increased problem-solving and complex thinking skills. Students from diverse schools are also more likely to choose to live in integrated neighborhoods as adults. The school environment, Williams explained, is critical in helping children to develop healthy identities and attitudes toward other racial and ethnic groups. Adolescence, in particular, is an important developmental period for identity-building, and diverse environments help students from all backgrounds form healthier, more complex identities, instead of relying on stereotypes. However, a racially diverse population on its own isn't enough to make those benefits come to fruition. Williams emphasizes that diversity, or the presence of students from many different backgrounds in one space, is only one step on the path to equity – when all of those students have equal access to the same opportunities. According to seminal research by psychologist Gordon Allport dating back to the 1950s, four conditions are necessary to turn school diversity into equity: equal group status, common goals, intergroup cooperation and institutional support. On an interpersonal level, quality interactions and friendships between different racial and ethnic groups matter. While same-race friend groups are valuable, self-segregation is one way that "diversity without contact" can happen in schools, limiting the positive effects of diversity. On an institutional level, patterns of racial re-segregation – both between schools and within schools – are actually on the rise. From 2000 to 2014, the percentage of high-poverty schools in the U.S. with more than 75 percent black or Hispanic students rose from 10 percent to 17 percent. Even within diverse schools, common practices like tracking and gifted programs often leave minority populations effectively segregated from their white peers. "We live in a United States with incredibly rich racial and ethnic diversity," Williams said, "but one in which spaces and opportunities often remain segregated, and forces of structural oppression continue to benefit some groups over others." Essentially, Williams said that many of the benefits of diversity hinge on sustained, quality interactions. In other words, if you bring students from different racial and ethnic backgrounds together into the same school, but keep them segregated during the school day, many of those benefits disappear. If a school truly values diversity, Williams said, it needs to look deeper than demographics. For example, research has shown that black, Latinx and Native American students are more likely to be disciplined, including getting suspended or expelled from school, compared to their peers. "Many schools laud the importance of diversity in their mission statements or claim it as a core value. But we need look no further than school discipline data to know that students' diverse ways of being and knowing in school, which are grounded in histories of adaptive culture in the face of structural racism, are not valued equally across racial and ethnic lines," she said. "When we only embrace a surface-level appreciation of diversity – we say we love seeing students from different groups, but we actually want them to act the same and to conform to standards of the dominant group – then we undermine the value of diversity and instead perpetuate inequality." Williams said the best way to promote equity in schools is to resist and challenge three trends: the re-segregation of schools; the segregation of students and resources within schools; and xenophobic, or intolerant, rhetoric. In particular, she supports arguments made by scholars like Amy Stuart Wells, president of the American Educational Research Association, for education policies to explicitly acknowledge race rather than claiming to be colorblind or race-neutral. For instance, in July, the current Department of Education removed guidelines crafted under the Obama administration for schools looking to increase racial diversity and avoid racial isolation. Williams believes this is a misstep. 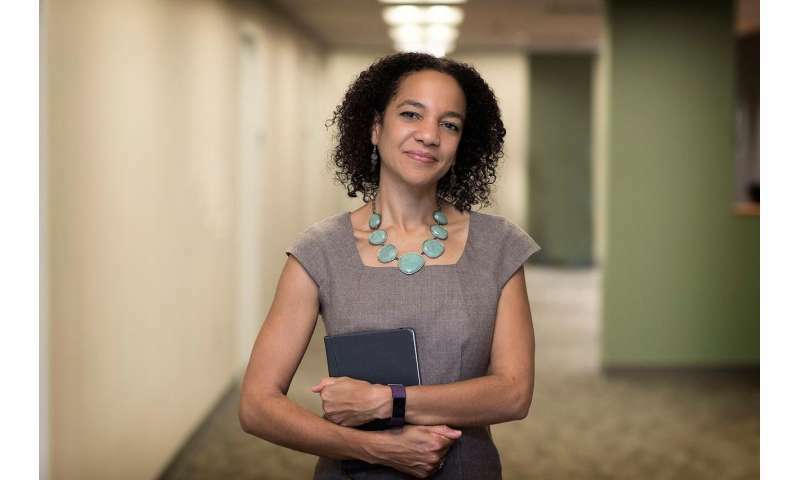 "If race is a central factor in maintaining inequality in schools, then it must play a role in policymaking to disrupt the inequality," she said. For educators and researchers alike, the work is only just beginning. Alexis Mason, a gifted resource teacher with Albemarle County Public Schools, led a group of 15 high school students through a two-week summer leadership academy. One of the focuses of this year's program was all about exploring cultural lenses. "The premise behind everything they did during the leadership academy was really the fact that you cannot be an effective leader if you don't know the community that you serve," Mason said. "One of our conversations had to do with, how do you equalize the classroom space? How does diversity enrich the classroom? For some of them, this was the very first time that they had been able to participate in any kind of discussion like that. That was a lot of feedback we heard – 'Oh, we never get to have these conversations in the classroom, or if we do have these conversations they get cut short.' So that was really powerful." Ultimately, Williams said the responsibility rests with all of us – educators, politicians, policymakers, parents and youth . The most powerful step we can all take is to resist our emotional impulses and instead follow the research toward a more equitable future. "One of the biggest impediments to realizing the benefits of diversity is fear," she said. "We all must do our part in resisting the xenophobic rhetoric that preys on our fears of difference."